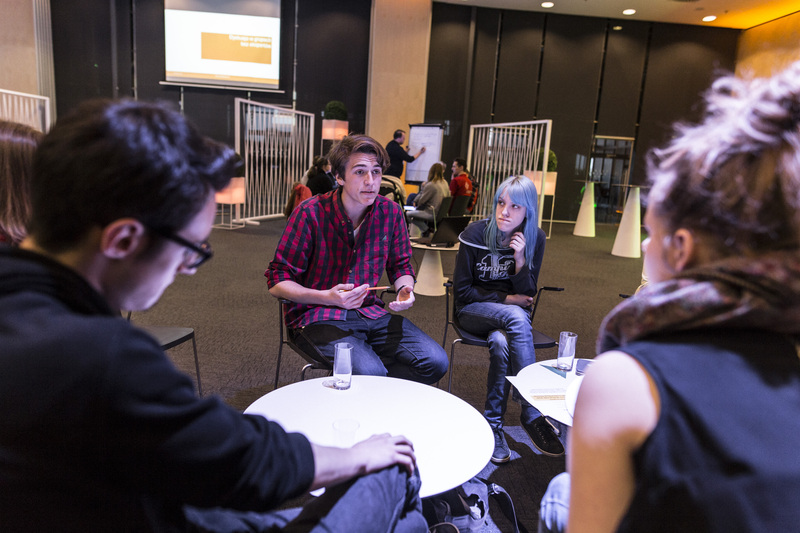 Reversed Science Cafés are starting to spark in Europe! When we, the Sparks project partners, reflected about rethinking innovation together, we were imagining new formats and new ideas for having conversations between citizens and scientists, between policy makers and education professionals… in few words, we wanted to contribute to a closer, engaging and different way of approaching different aspects of science. It is part of what RRI aims to. So we are already boosting this new ways of talking among each other at science centres, through the Reversed Science Cafés (RSC). 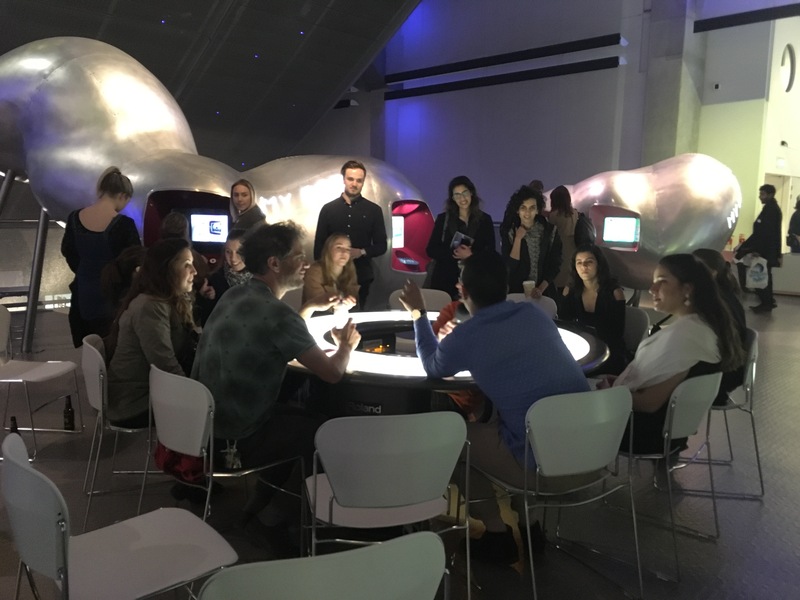 Recently, Copernicus Science Centre, in Warsaw and Science Museum London, ran their events, with great outcomes. But, what exactly is a RSC? A Reversed Science Café is a discussion event focused on various ethical and societal topics related to local examples of research, technologies and innovations. The dialogue is initiated by experts posing questions and listening to answers from the audience. Together they work in small groups to formulate their advice on making research and innovation more responsible. In London, the feedback from scientists was great. Two groups hadn’t done any science engagement like this before and they thought that the event had been enjoyable, as well as helping them see how their work is perceived and learning how to present it to the public. Scientists are eager to share their work with receptive audiences. One researcher got new ideas to focus his research on after some things people commented. In Kopernicus Science Centre the people were with great enthusiasm too. It seems that there is a real need for this spaces. We asked Wiktor Gajewski, how did they know that the participants were really engage in this activity? “Our reverse café was a discussion around possible use of EMG (muscle electrical activity sensors) as preventive examination for sudden infant death syndrome. The invited researchers presented their theory and asked event attendees for recommendations on next steps of their work. They were especially curious of the wider context of use and abuse of data coming from EMG sensors as they become cheaper and more accessible and are widely explored by “DIY scientists” or hackers." "We had a mix of participants with some previous interest in presented topics – for example medicine students and with no knowledge on the case whatsoever. They were all busy talking in small groups about the challenges presented to them by our experts. Together they created a set of recommendations. For example they wanted scientists to analyse not only technical but also societal and ethical issues in development of this diagnostics technology. Some groups were radical enough to propose a step back from EMG sensors towards finding for different ways of early warning signs of the cot death, that would be less controversial. Some issues on data privacy were raised as well, with proposed solutions for sharing medical data using similar forms of consent as are employed in smartphone apps. Participants were also making more personal discoveries during the round where they could share the results of their discussion with others. One participant for example told us he would never suppose a “hacker” could be a person doing positive work for society. The mix of perspectives and background of both experts and public created and inspiring opportunity for learning and dialogue." The Sparks exhibition will be opening during July and August in London, Warsaw, Bonn and Ljubljana. We will be showing the dates on our website and social media. Keep an eye on us!